Sometimes in life, you just have to take a chance. Recently I took a really big chance. Our family owns three businesses. Larkin Food Center, a rural store, Grandma's Pumpkin Patch and an excavation company, Earthmovers of Midland. These businesses keep us hopping. My family purchased Larking Food Center in 2010 and I quit my corporate job to be a manager of the store with my mom. I also have been managing our seasonal business, Grandma's Pumpkin Patch since 2007. Last year an opportunity came up for me and I have also been working as the Director of Fund Development at a local non-profit. It was a fun filled year with lots of growth opportunity both personally and professionally. By working at the non-profit I gained experience in management, learned to work with a Board of Directors, gained exposure in the community, and developed experience in sales. The past year was a busy one, and also a stressful one. 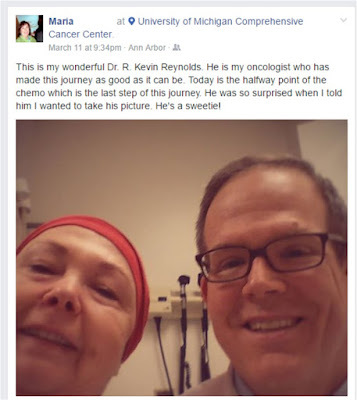 My mom taking selfies with her Dr. In November of 2015 my mother was diagnosed with ovarian cancer. She is a fighter, and is determined to get through this experience, and I have no doubt she will beat her cancer! However, as a family we wanted to make sure she could focus on the battle ahead and not be weighed down with added stress. The family businesses are a priority, along with family. When something goes wrong were are a "circle the wagons" type group. We all gather together and help each other. My sister took over the book work side of the store and Earthmovers so mom doesn't have to worry about it. My dad, husband and sister's boyfriend help with operations as they can and I quit my job at the non-profit. I will be focusing on the daily operation of the store and maintaining Grandma's Pumpkin Patch. Everything will work out, and the main concern is getting mom healthy again. Through this process we have been looking to utilize resources we already have. In the family store we had a large empty warehouse....maybe a better description is a warehouse not being used for it's potential. This place was not empty, it was filled with stuff. Along with a warehouse, we have beautiful property. Grandma's Pumpkin Patch is our family farm and we are blessed with beautiful woods, natural landscapes and a wonderful fall setting. These two locations got me thinking and I decided to open MI Studio. It even had a flash! I LOVE the art of photography. Always have. 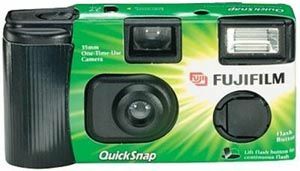 I was taking selfies and pictures of my friends back in the 90's with disposable cameras. Now I use my dads's fancy DSLR Nikon camera and have been collecting props and trinkets through the years. I thought, why not utilize what we already have and open a photography studio. However, the thought of taking someone else's photos terrifies me. I would have anxiety over them not liking it or the criticism. MI Studio is a studio for photographers to use. Many people have the talent and the equipment but not the space for a studio. We have the space! MI Studio is a full photography studio with a graffiti wall, back drops, Savage seamless paper backdrops, a brick wall stage, and an area that looks like the inside of a barn. The studio also has lighting equipment and many, many, many props. The property at Grandma's Pumpkin Patch is available as an outdoor studio with great natural settings and landscaped settings including an antique truck. MI Studio offers a meeting area as well. This space is available for rent for parties or to host classes, meeting space and if you have a membership to MI Studio you can use the space to meet clients. Half of the battle of starting a business is having a space that you can present your brand professionally and MI Studio can help with that. MI Studio is my leap of faith that has me excited and nervous all at the same time. I hope the community enjoys the space as much as I do. To learn more about MI Studio please visit our Facebook page.